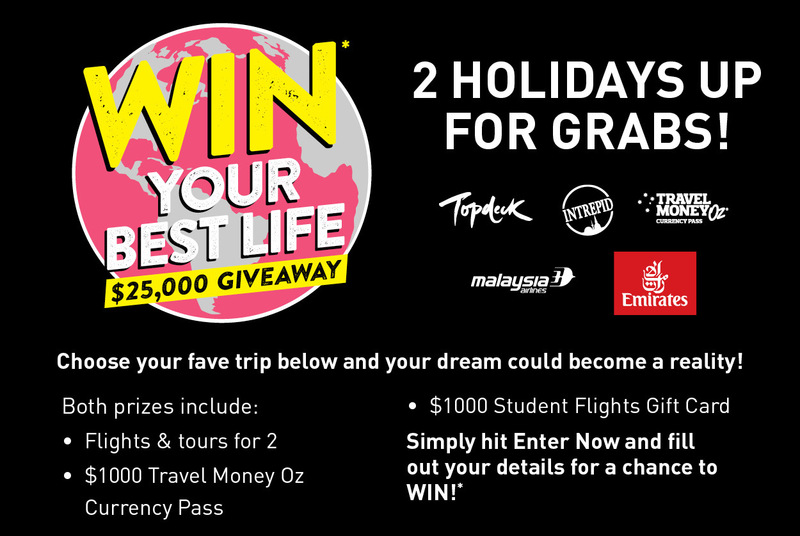 Win Your Best Life | 2 Trips up for grabs! 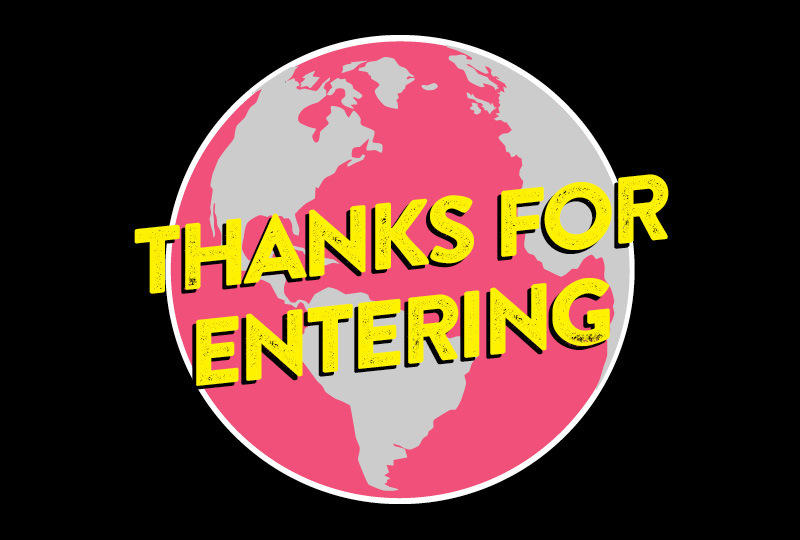 The lucky 2 winners will be announced on Monday 29th April here. While you dream about Winning Your Best Life why not check out our range of flights and tours on sale now! *Terms and conditions apply. For full prize details & terms and conditions visit our website. Competition: Open to Australian residents 18-39 years (Topdeck Tour) & 18-29 years (Intrepid Tour) nationwide. Prize: Entries open 11:00am AEST Monday 1st April 2019 and close 11.59pm AEST Sunday 28th April 2019. The prize winner will be drawn at 11:00am AEST Monday 29th April 2019 and will be notified by phone or email by 5:00pm AEST Tuesday 30th April 2019. The winner will be published on the Student Flights website by 5:00pm AEST Tuesday 30th April 2019. Currency Pass Issuer Heritage Bank Ltd (ABN 32 087 652 024, AFSL 240 984), please consider the PDS. Competition not open to Employees of Flight Centre Travel Group Limited, Malaysia Airlines, Emirates Airlines, Intrepid Travel, Topdeck Travel, Travel Money Oz and related bodies corporate, suppliers, agencies, licensees their immediate families. Flight Centre Travel Group Limited (ABN 25 003 377 188) trading as Student Flights. ATAS Accreditation No. A10412. Authorised under NSW Permit No. LTPS/19/33164, SA Permit No. T19/399 and ACT Permit No. TP 19/02946.